In cellular biology, a receptor is a protein molecule usually found embedded within the plasma membrane surface of a cell. Its job is to receive chemical molecules (also called ligands) that can include peptides, neurotransmitters, and hormones. Once coupled like a key fitting into a lock, a specific series of tissue responses are initiated and affected intracellularly. 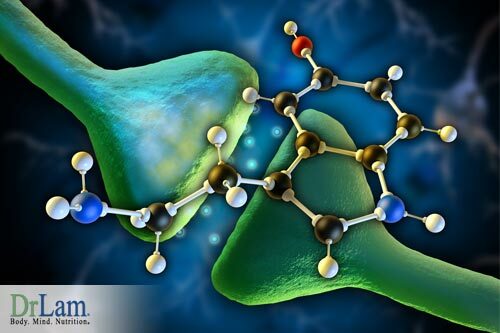 For example, the acetylcholine receptor recognizes and responds to its ligand, acetylcholine. There are literally thousands of receptors in the body, including those specific to hormones like insulin, and for substrates like low-density lipoproteins (LDL). 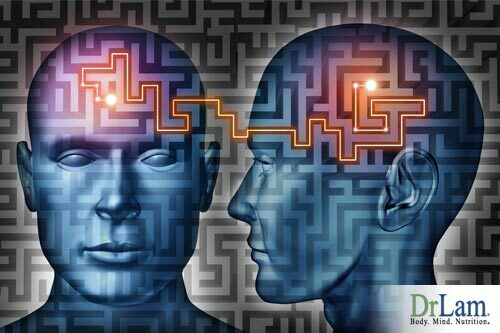 As a result of this many illnesses and disorders can be considered receptor related disorders, as this important relationship can be the key to learning more about these conditions and how to resolve them. Optimum body function requires a perfect balance between the ligand such as a hormone, its corresponding receptor, and associated feedback loops working in unison. Any malfunction or imbalance spells trouble. There is a bioactivation and signaling journey that converts information of our surroundings outside the body into cellular chemical reactions within. This biochemical journey originates in the brain which converts senses received by smell, sight, or noise into chemicals called hormones that travel through the bloodstream to target receptors. Once at the doorstep of the target organ the target receptor function acts as a gatekeeper and dictates how hormones outside the cells are converted into biochemcial signals inside the cell for a call to action. Receptor function is the final gateway for completing the signaling process from our senses to electrical energy. While some receptors will accept multiple ligands, active specific outcomes are usually limited to the exact matching ligand. In other words, while multiple ligands may couple and lodge with the receptor, action will only be initiated with one ligand receptor. Receptors as enzymes: These receptors usually span the cell membrane. Once bound to the ligand, there is an increase in the phosphorylation of intracellular proteins. Phosphorylation is a chemical process in which a phosphate group is added to an organic molecule. In living cells phosphorylation is associated with respiration that takes place in the cell’s mitochondria resulting in ATP formation. Receptors that use the G protein as their transducer: Once coupled a variety of pathways are activated, including adenylyl cyclases and phospholipases. Phospholipase C (PLC) activation by cell surface receptors has been recognized as a fundamental early transmembrane signaling event that triggers a wide variety of cellular responses. These range from egg fertilization through immune cell activation to hormone secretion. Receptors that activate transmembrane ion channels to allow entry of molecules from the extracellular to intracellular space. These channels are also called ligand-gated ion channels, which open to allow sodium, potassium, calcium and chloride ions to pass through the membranes into the cells. Receptors located intracellularly that increase or decrease DNA transcription, either by binding DNA or by modulating the effects of histones. Steroidal hormones like estrogen and progesterone side effects are good examples. The expression is a term we use to describe the ultimate effector responses after receptors are coupled with their respective ligands. Ligands can be called agonists when they induce the desired post-receptor events. They can also be called antagonists when the desired signaling is blocked. Modern medicine takes advantage of both of these characteristics in the development of drugs. For example, aldosterone receptor antagonists are drugs designed to block aldosterone activation. By doing so, sodium retention within the cell is prevented, and fluid leaves the body as a result. It is widely used as a diuretic for heart failure. There is a wide range of receptor expressions or possible responses. Expressions are modulated and fine-tuned by the hormonal feedback and regulatory loops associated with each receptor. The intrinsic characteristics of the receptors themselves can also change with time depending on how they are used. For example, chronic stimulation of receptors can often result in reduced numbers of receptors as the body either down-regulates or activates the associated negative feedback loops. A body overloaded with estrogen will generally have fewer estrogen receptors as a result because the body feels more is not necessary. Take the case of postmenopausal women with low estrogen complaining of hot flashes. Many are prescribed estrogen for this, but symptoms continue. Progesterone is often than prescribed in addition to oppose and reduce estrogen load. Instead of getting better, symptoms of estrogen excess get worse. This can be explained. While on estrogen, receptor sites down regulate. Progesterone causes a re-activation of the estrogen receptors and a trigger-exaggerated response. More hot flashes are experienced instead of less. Astute and experienced clinicians can see this correlation and solve the problem by reducing estrogen as progesterone is added. Histamine H1 receptors are located in the endothelial cells and smooth muscles, affecting vascular and skin integrity. Histamine H2 receptors are located in the GI tract and control acid secretion, abdominal pain, and heart rate. Histamine H3 receptors are located in the central nervous system, modulating sleep and appetite. Histamine H4 receptors are located in the thymus, white blood cells, colon, and spleen. As you can see, the body has many built-in ways for receptors to be regulated thus determining their ultimate expression potential. It is a complex science. For the body to work right and for you to feel good, receptor concentration and function need to be maintained at optimal levels. This process is automatic and goes on in the body without us knowing the receptor sensitivity compared to their efficiency. How the receptor site responds to its chemical influence is determined by many factors. It is known that many receptors are adaptive structures as well as responsive to long-term changes in the receptor environment. Receptors can also adjust to change in specific ligand supply by regulation of their responsiveness to stimuli. Some people are highly sensitive to all kinds of medications with amplified responses compared to others. 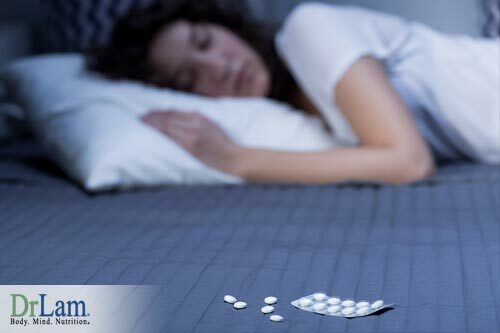 A small dose of over-the-counter sedating antihistamine medication, for example, may make them sleep for many hours. Others may need more medication than usual just to have the normal clinical effect. Receptor sensitivity variability is at the center of such behavior. Cellular responses are generally dose-dependent if all else is equal. However, some variations exist and that is why not everyone reacts to medications or supplements the same way. Receptor upregulation can lead to hyperfunction (or a hypersensitive state) that results in target organ overstimulation producing clinical syndromes of hormone excess. For example, estrogen receptor hyperfunction can trigger a state of estrogen dominance, leading to PMS, menstrual irregularity, endometriosis, fibroids, and even cancer. On the other hand, receptor hypofunction (or in a hypersensitive state) due to down-regulation may present with clinical features of hormone deficiency.